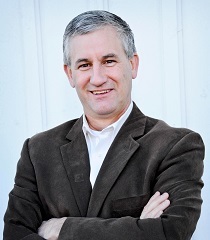 Dave DeSilva, a North Carolina and South Carolina Real Estate professional leads The DeSilva Realty Group which is powered by Keller Williams Realty (Ballantyne) in Charlotte. Dave has over 15 years experience in helping friends and clients find the right place to live and, market & sell their homes or acquire the right investment property for their portfolio. Dave's team approach (using top notch Transaction Coordinators, professional photographers, skilled loan officers....) ensures he can personally serve clients in the entire Metro Charlotte market, Union County, NC & Fort Mill, SC. Dave has also helped by referring top Realtors nation-wide to help with moves to anywhere from anywhere. Dave is a military veteran (US Army officer) and Army brat (lots of moving) having first hand experience with multiple relocations (VA loans) domestically and internationally. Dave has lived in Charlotte for over 17 years with his wife Karen. They have three children (Ian, Ethan and Dana) and a couple of dogs (Levi & Duffy).